To use this command, you must have a Facebook account. If you don’t have one, you can create one here. Next, login to your Facebook account and go to here. Click on the Create a New App button. Next, give your app a name and email address. 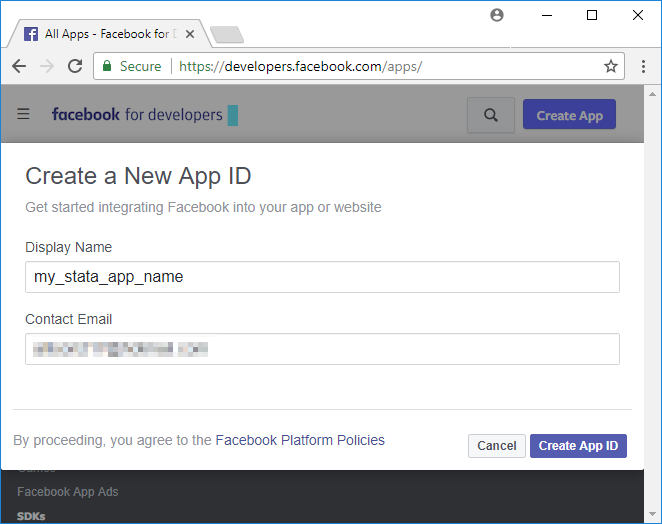 Now, you will need to copy the generated App ID and App Secret to a do-file. You will need both of them to use the command. Next, click on the Tools & Support menu. 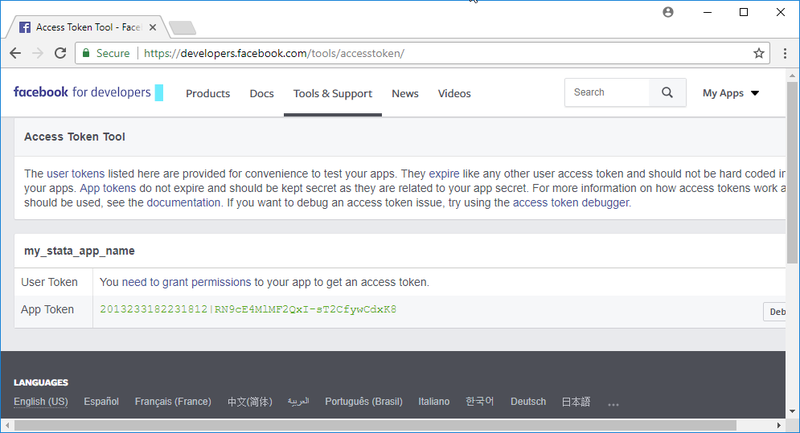 Now, click on the Access Token Tool button. 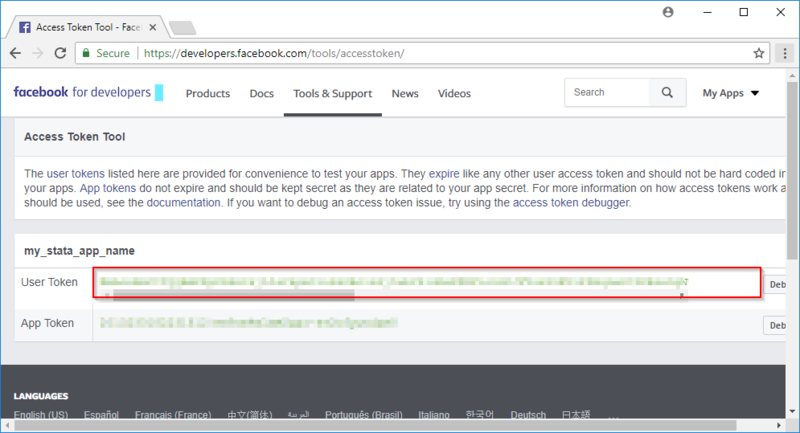 On this page, you need to click the need to grant permissions link to generate your User Token. You will need to copy the User Token to a do-file. 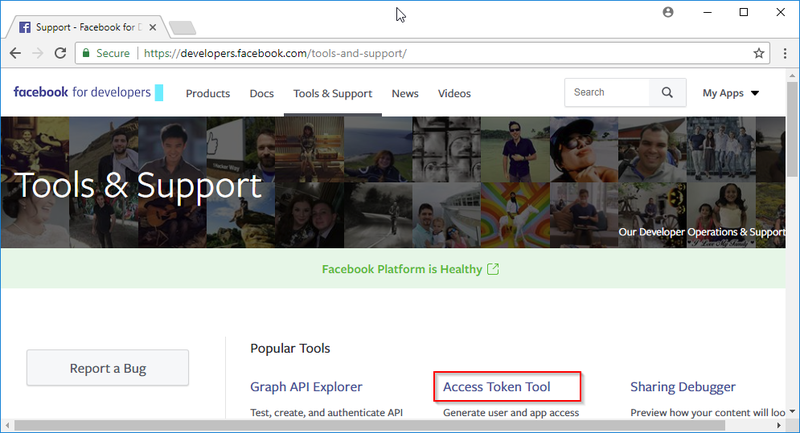 To extend the token, click on the Extend Access Token button. Unlike twitter2stata, the data available to import from Facebook are somewhat limited. 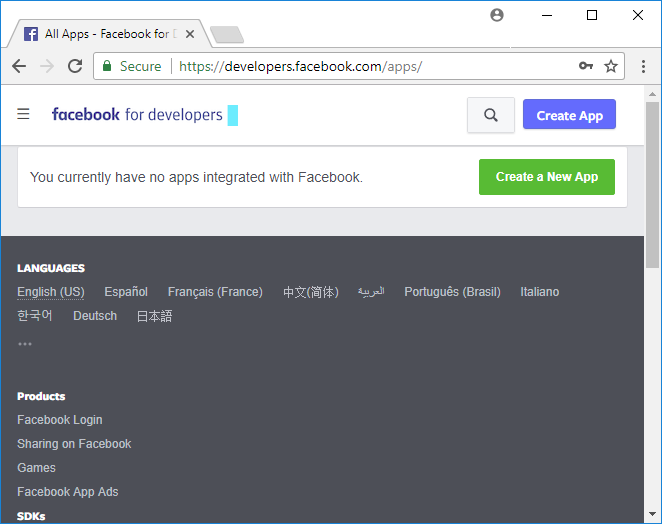 The main limitation of Facebook data is that if you want to access a person’s data, they must give your Facebook app permission to do so. The event, group, place, and page data have less restriction. Be sure not to share these with anybody else. 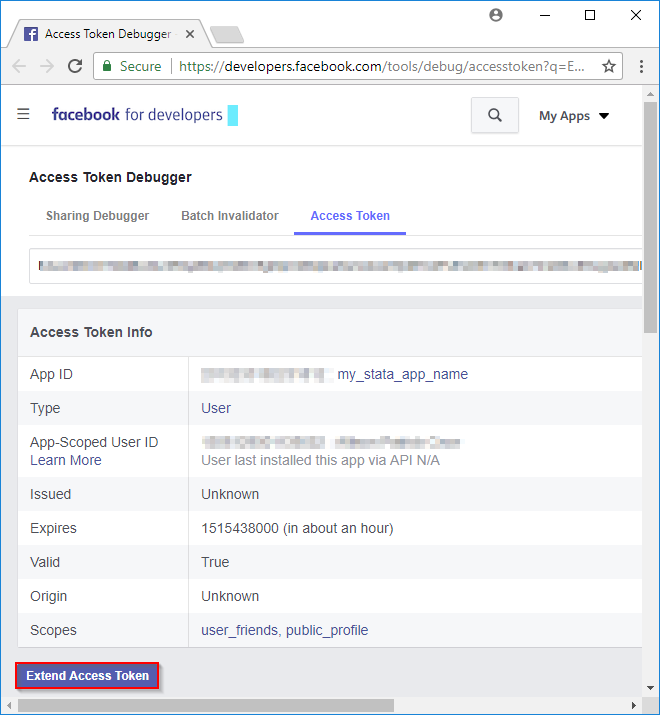 facebook2stata setaccess "`user_token'" "`app_id'" "`app_secret'"
user token, app id, or app secret not set. 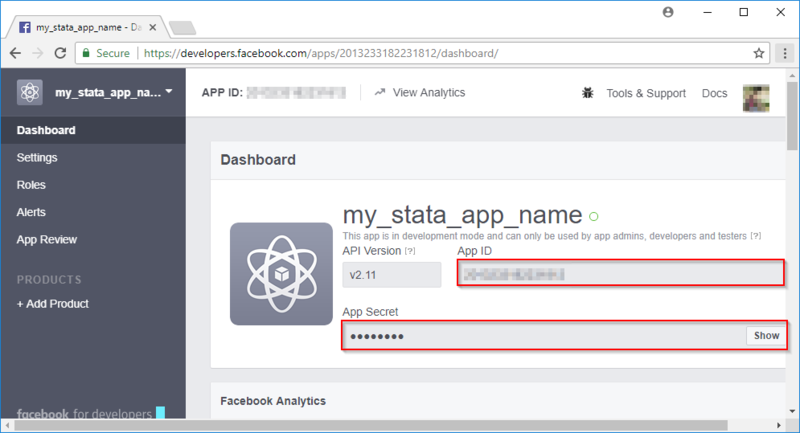 Run facebook2stata setaccess to set your user token, app id, and app secret. There are limits to the amount of data Facebook will let you import. These limits are subcommand-specific and limit the number of calls you can make to Facebook’s webpage. Click here to see the data rate limits for the Graph API. If you have any other social media data you would like to import, feel free to post your suggestion in our comments. You can read the full details of facebook2stata‘s functionality in its help file after installing it.